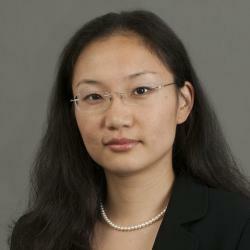 Lynn Wu is an assistant professor at the Wharton School. She is interested in studying how information and information technology impact the productivity of information workers, organisation and broad sectors of economy. Specifically, her work follows three streams. In the first stream, she studies how social networks and information derived from social networks affect individuals’ performance and long-term career trajectories. In her second stream of research, she examines the role of investment in IT and complementary organisational practices to explain how firms can achieve greater business value from IT. In her third stream, Lynn leverages fine-grained nanodata available through online digital traces to predict economic indicators such as real estate trends, labour trends and product adoption.